Recently I was invited to the 'Breathe Easy' spa for 'salt therapy' and I must say that I was a bit skeptical at first because I never heard of it. However I am glad that I went for the experience. First off, let me explain a little what the salt therapy is. It's a natural way to treat different kinds of health conditions that consist of skin problems to upper & lower respiratory conditions. Salt Therapy's chemical-free, natural solution can also help with asthma, psoriasis, snoring, coughing and more. For the complete list of it's benefits, click here. 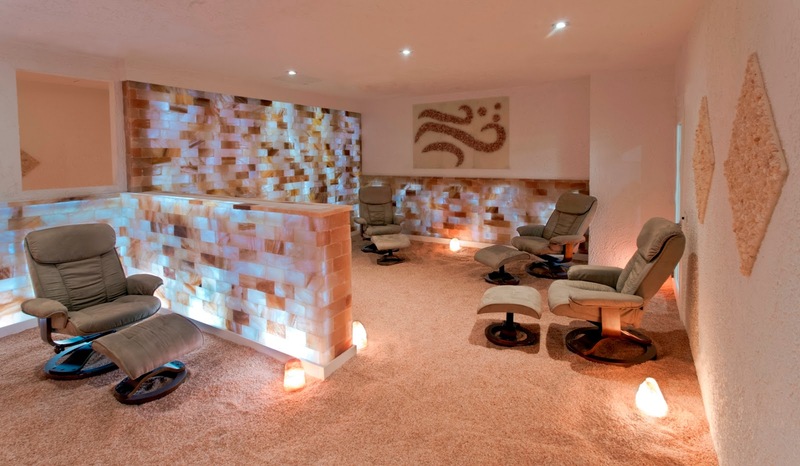 For your salt therapy treatment, you have the option to do the salt bed or room. During my visit, I tried both to experience both sides of the treatment and you can as well. 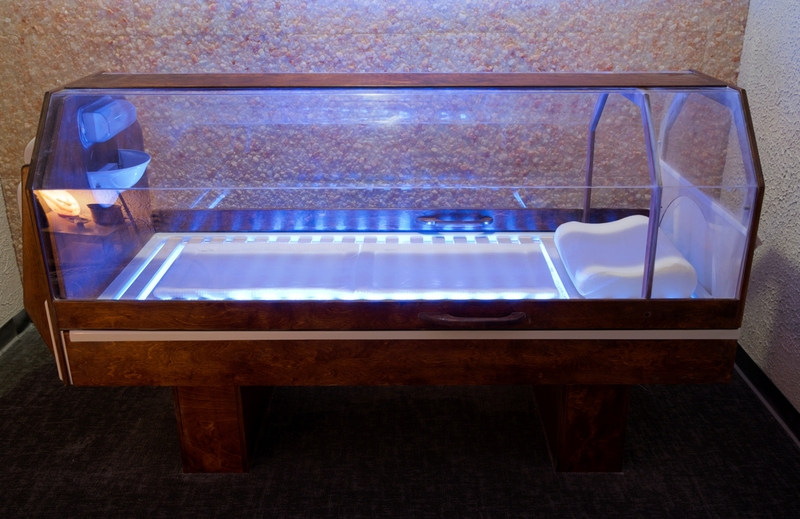 For the salt bed, which looks like a tanning bed with covered plexiglass(see below), you go into a private & secure room where you can disrobe(wear a swimsuit) to expose trouble skin if needed. While lying in the bed, I took deep breathes as I relaxed to my own music as the salt did it's job. I got so relaxed that I actually fell asleep during my session which I was told would probably happen. After about 45minutes in the salt bed, I headed to the salt room(see above) where I kicked my feet up, read a book & relaxed as the salt was dispensed around me. The experience was so natural and soothing and I plan to incorporate it in a routine. If you have doubts, no worries because the staff was great on educating me about salt therapy which made me feel comfortable. It's nothing scary, just a relaxing, calming spa experience with salt. For more details & to schedule an appointment, go to BreatheEasyUSA.com. Check out & follow me on instagram here for more behind the scenes images from my visit. Will you try out the salt therapy at Breathe Easy?